It is my priviledge to welcome Brenda this morning! She explains, what those of us with younger children, get to look forward to as our children grow up. Thank you Brenda for guest blogging here. When you finish reading here go over to her blog “Disney Girl” and check it out too. Hi everyone! I am SUPER excited to be guest blogging here at Mousecation. My name is Brenda or in the blogging world “Disney Girl”. In September 2011 I started blogging and have been hooked ever since. My blog is a place for me to share my love of Disney, crafting, and the happenings of my everyday life. I am married to a wonderful guy and mom to one sweet daughter who keeps us on our toes at all times. At the moment we are experiencing her first year of middle school. (YIKES!) That being said I thought that I would share with you how traveling with a pre-teen is different from traveling with a little one. So many blogs address what is like to travel with a toddler or small children. I am here to tell you that it just gets better with age. 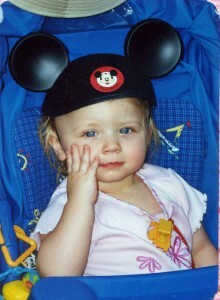 I thought that the most magical moment was the first trip I took her on when she was just barely a year old. Every trip since then has topped the one prior. I have went from “Where did I park the stroller?” to just running with my daughter leading the way from ride to ride. Yes, I must admit I do miss the storage convenience that a stroller offers but a locker offers the same (and is always where I left it). 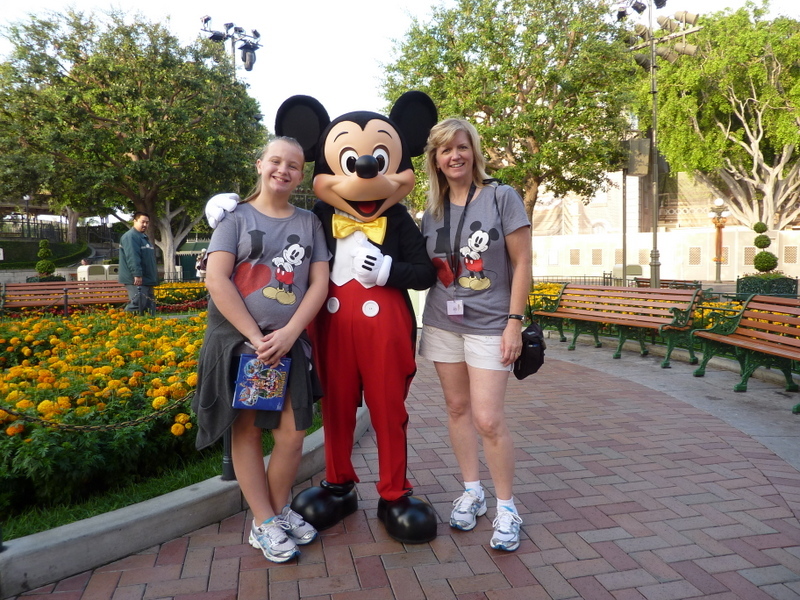 We are so lucky to be able to visit Disneyland several times a year. I have learned as my daughter has grown that at some point the park visit changes. I hate change so I have really just had to roll with it. When she was very young I was the one holding her up next to the Character for the photograph. All of us moms have these pictures. You know, the ones with us in them because our little one won’t go without us. Then as she got a bit older, she got braver (either that or she visited the park so many times she felt like the Characters were her family) and went up to them by herself. Now at almost 12 years of age she is very selective of which Characters she will spend her time in the park waiting in line to see. I know her thinking……..that time could be used waiting in line to ride Splash Mountain or Indiana Jones. The way we approach the attractions also changed as she grew. I went from using the parent pass and leaving her in the stroller to waiting for the day when she was “Indiana Jones height”. I thought that day would never come. But it did all too soon. My daughter on the other hand could not wait until she was tall enough to drive Autopia by herself. That was a BIG day in our history of Disneyland memories. Our days in the park went from my pushing her stroller to her being old enough to walk the park on her own. Back in her early days of walking the park we would do each land at a time to save on walking. Now we hit all the big attractions first and go back and do each land in full when we have had our fill of the big attractions. These days I can barely keep up with her riding all those big attractions. On our last park visit my daughter rode the Matterhorn four times in a row. My 40 year plus old equilibrium could only handle two times in a row! As my daughter gets older I am learning to add something new (oh no — change) to each Park visit. You see it isn’t like it was when she was little and needed to grow and meet height requirements or be brave and meet a Character on her own. On our last visit we went during Halloween time. We participated in Mickey’s Halloween party and also did the Happiest Haunts tour. Both of which my pre-teen loved. As she gets older she is more involved in the planning process which just makes the trip that much more special. At the moment we are planning a park visit for next month. I can’t wait to see what new thing we do or what ride is now my daughters favorite. I hope that you all are enjoying making magical memories with your kids. Thanks again to Mousecation for having me here today! !